The American Flyer lift at Copper Mountain – the longest bubble chair in the world – opened last week. 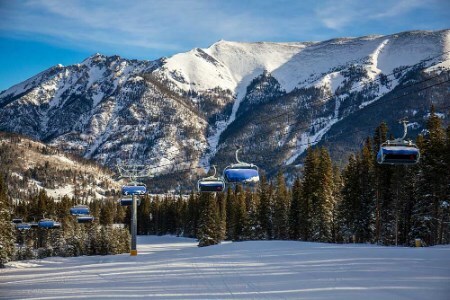 In a video announcement posted on the resort’s Facebook page, Dustin Lyman, President and General Manager, said that the lift, which extends over two miles, will provide improved access from the Center Village to the west side of the mountain and the advanced high alpine bowls located there. The American Flyer can carry up to six passengers per chair and, like its fellow new lift the American Eagle, operates on a DirectDrive system without gears.